This is potentially only relevant to the forward thinking ship-owners and they have to consider this notion prior to the dry-docking period; so that you can optimize the design, manufacturing and shipping of the new bulbous bow design and utilize the Dry-Docking. Then with the consultant/designer the ship-owner can pre-plan ahead. The benefit of pre-planning is you can choose where to manufacture, transport and install in advanced, to find the best and lowest cost solution. The five year Dry-docking period is the perfect opportunity to combine the basic maintenance like hull cleaning, tank cleaning, survey of equipment, machinery’s and painting with the bulbous-bow conversion. This will reduce/cut the cost and the combining, together leads the optimization. Bulbous bow optimization is a key factor for fuel saving. The basic principle is that an incorrect bow form is designed. This causes additional resistance and in turn increases the operational cost. The problem is that the option of re-designing and modifying the bulbous bow of a ship in service is rarely considered, an understandable oversight since the achievable savings of fuel can be frequently in very transportation of the cargo. 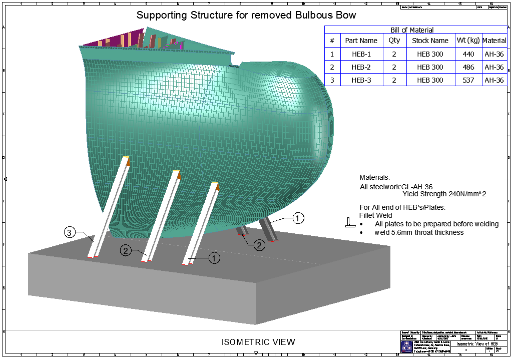 For the optimization of the bulbous bow following steps can be considered with the consultant/designer to save the cost and make the design more efficient. The ship-owner can give records of operational data for a whole year for reviewing the vessels operation condition which includes the vessels speed, drafts and operational profile. Using the data’s MBM can assist you in initial investigation whether new bulbous bow will be efficient by doing basic analysis and estimation. Operating conditions are been considered in the design to Find out what is the best operational draft of the vessel with sails with the cargo. 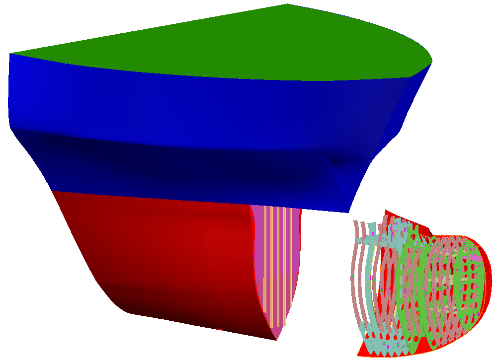 Using various CFD and Resistance software to modify bulbous bow designs based on realistic operational profiles rather than a single, theoretical design point. This opens the door to significant fuel savings even for a bulbous bow refit. Preplanning help in the material/steel used for the conversion of the bulbous bow. The results of any optimization depend on the Designer/Consultant and software tools used.